Captivate by Nupro gives you whiter teeth in as little as 7 days. This 15% hydrogen peroxide gel bleaches gently while strengthening enamel. Dental professionals trust Captivate by Nupro to work safely and effectively. You can whiten in the comfort of your own home by using Captivate by Nupro with your professionally customized or thermoform (boil-and-bite) whitening trays. Dentists prescribe Captivate by Nupro for safe, effective whitening. Now you can continue your bleaching regimen at home with these syringes of advanced whitening gel. Mint-flavored Nupro White Gold contains 15% hydrogen peroxide for noticeable whitening that's gentle on your teeth. All it takes is 15 minutes a day to see improvement in as little as 7 days. This package contains 2 syringes of Captivate by Nupro. 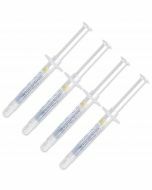 (We also sell Captivate by Nupro in a pack of 4 syringes.) Each syringe contains 2.4 g of whitening gel. All products from Dental Health Essentials have the latest expiration dates. We store every item in a temperature-controlled environment for freshness. 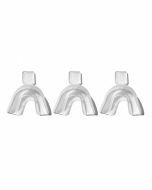 Captivate by Nupro is used with your own bleaching trays—either personalized trays created by a dental professional or boil-and-bite trays that you customize at home. Start by flossing and brushing your teeth. Open the syringe and, beginning with the first tray, place a small drop of whitening gel into each tooth compartment, aiming toward the front surface. With thermoform trays, you can express a thin, continuous bead of gel along the length of the tray. Once both trays are loaded, place them into the mouth, one at a time. Seat each tray firmly and press lightly against the front surfaces of your teeth. Wipe excess gel from your gums with your finger or a tissue. Leave Captivate by Nupro in for 15 minutes. After 15 minutes have passed, remove the trays and rinse your mouth with tepid water. Remove leftover gel with a finger or clean toothbrush. Do not swallow any whitening gel. Rinse your trays with clean water, and use a cotton swab or clean toothbrush to remove stubborn gel. Store your trays properly once they're completely dry. The recommended storage temperature for Captivate by Nupro is 36°F–46°F (2°C to 8°C), which indicates that refrigeration is necessary. Keep the product away from foods and drinks. Do not store at temperatures over 80°F (30°C). Do not freeze. Yes! Captivate by Nupro contains hydrogen peroxide, a trusted bleaching agent that gets results. Always follow common-sense precautions when using any whitening treatment. Syringes may be pressurized; do not aim the syringe tip at any part of the body. Do not allow the product to come into contact with the skin or eyes. In the case of accidental exposure, flush the area thoroughly with running water for several minutes. Do not eat, drink, or smoke during your procedure. Pregnant and nursing women are advised against bleaching their teeth. Keep the product out of the reach of children. As with any whitening product, resist the temptation to overload your trays. This will protect your gums and the other sensitive soft tissue of your mouth. Use Captivate by Nupro for professional whitening results at home! 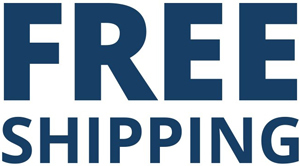 FREE SHIPPING ON ALL USA ORDERS HOURS: 8 A.M. - 5 P.M. CST PHONE: +1-888-508-3375 Copyright © 2018 Dental Health Essentials, Inc. All rights reserved.